Naples, Florida, October 16th, 2018– Luxury Naples catering sensation, Crave Culinaire announces the celebration of its five-year anniversary. Crave Culinaire has been wowing guests across Southwest Florida through innovative food, sublime presentation and exquisite dining experiences, and pushes the envelope when it comes to traditional catering services. To celebrate this milestone, Crave Culinaire is giving five lucky contestants the chance to be a part of one of five exclusive VIP events. This propelled Roland and Team Crave into new areas of the industry, thus creating a name for themselves linking them among the best in the business. The year 2014 brought many nods from esteemed members of the area. Earning such accolades as “Best Caterer” by Gulfshore Life, Crave Culinaire has proven long-lasting success by earning this top spot every year since. Crave Culinaire was also part of their first television show and catered an event for over 200 guests for the first time as well in 2014. 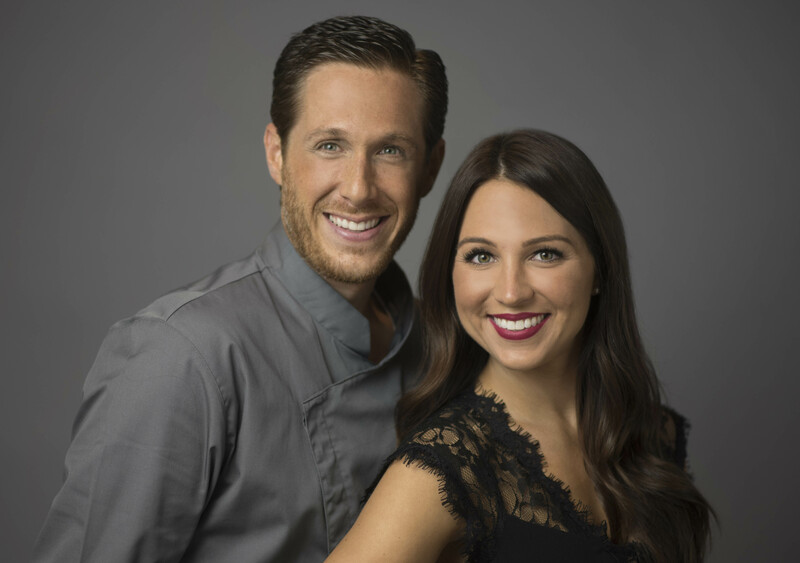 The next years brought much-earned success, including Chef Brian’s appearance on CNBC’s Restaurant Startup and the introduction of Thanksgiving and Christmas meal delivery services across Southwest Florida. While Nicole Roland was dedicated to working with Crave since its inception in 2013, she came on board full-time in 2015, making Crave truly a family business. Brian and Nicole were married in 2016 and continued to welcome expansion and success as this year brought the first Executive Chef to work alongside Chef Brian and the team moved to a larger kitchen. The year 2016 also brought the opportunity to cater an event for over 500 guests, shooting the Crave team toward even more success. In 2017, Venue Naples was launched. This luxury, high-end event space began to offer its services to thousands of guests with its first event staffing over 60 team members. Months later, when devastation hit Southwest Florida after Hurricane Irma, the Crave team took to the streets, launching Crave2Go to assist residents who were without food after the storm. This year saw the launch of Crave for a Cause, which aims to help various non-profit organizations in the area and cumulatively, the team has catered over 25 events with over 250 guests this year. The team has donated over 150 dinners to local charities, assisting them with raising funds and the team is honored to have worked with over 100 chefs in their kitchen, feeding 85,000 mouths since 2013. The Crave and Venue team is excited for the future, making plans to expand their venue and kitchen and also purchase a third and fourth catering vehicle. Roland speaks about this accomplishment and his hopes for the future. “Crave [Culinaire] began as a dream some ten plus years ago. My desire to impact guests with amazing food presentation and to create the ultimate dining experience was what drove me to launch this new adventure. I am so proud of where we have gotten and I can only look to the future and what we can accomplish together,” he says. For more information about contest rules, please visit www.craveculinaire.com or call (239) 292-1529. 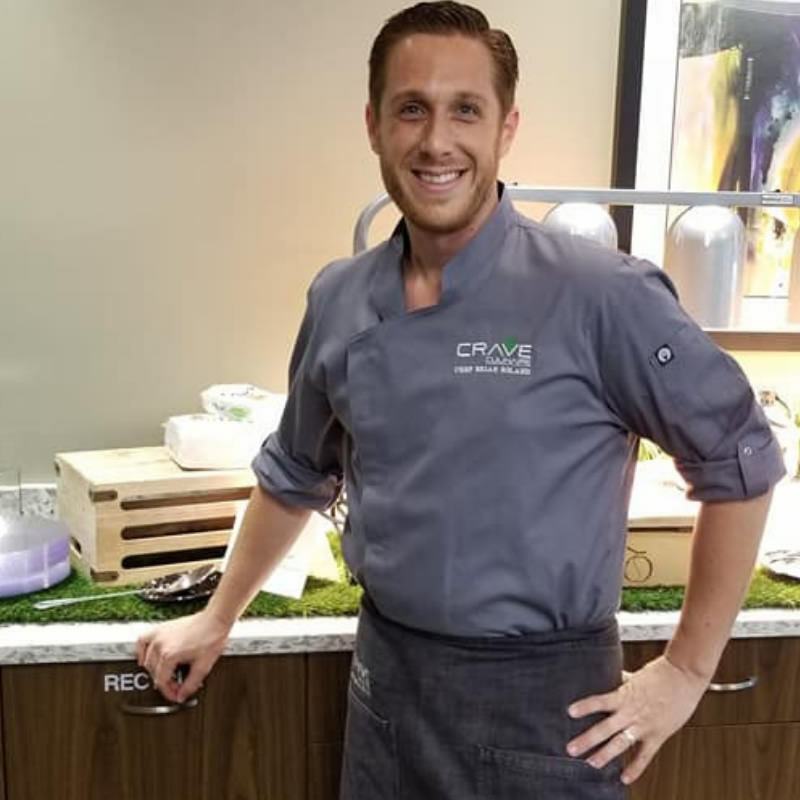 Crave Culinaire was founded by Chef Brian Roland, Owner and Executive Chef. Chef Brian and his team specialize in creating an exclusive culinary experience through in-home dining, private and public events, cooking classes, customized catering, food and wine pairings and showcasing immaculate culinary delights. Crave Culinaire is driven by their passion for food, and focuses on incorporating fresh and local ingredients. Crave Culinaire is also paired with the fully customizable space of Venue Naples. 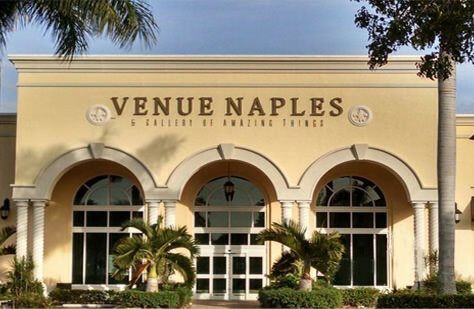 Venue Naples is a multi-use event space and art gallery incorporating fine dining and exquisite service.